Beauty On A Budget: My Favorite Frugal Finds! First off... ummm, hello there 2019! I can’t believe a new year has already begun! On one hand I am excited to see what 2019 has to offer and on the other hand, we have been super busy working on things AND my babies are getting older lol sooo there’s that! In the midst of being busy, my computer is down and I have been solely working on my iPhone and iPad. I know, I know.... #firstworldproblems right?! I must admit, I have taken my computer for granted as well as my laptop and I am so ready to move back to ol’ faithful! However, one thing I do know that's good and reliable are beauty products! Especially beauty products that are affordable and know how to get the job done. 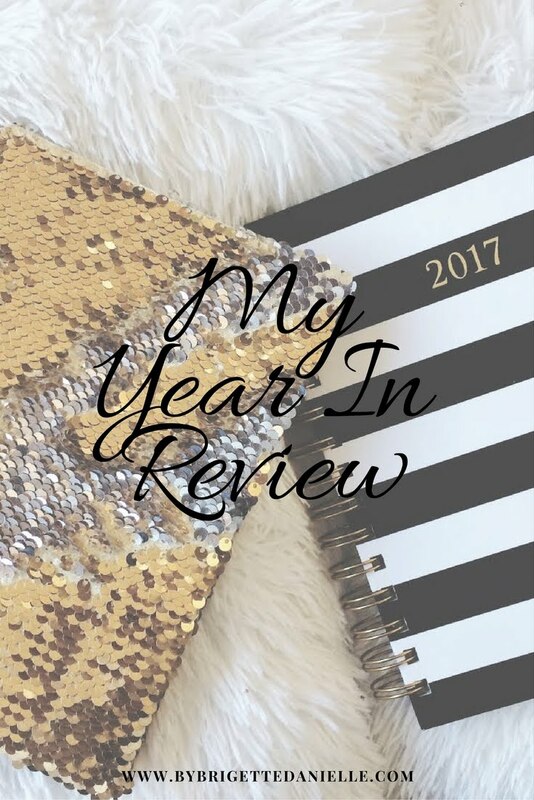 We all know that beauty products can add up and can end up being totally worthless, but I have come share my experience and "extensive knowledge" of budget beauty products! So relax and enjoy this list of beauty must haves from probably the cheapest stores in the US (outside of Dollar Tree)! 1. RenPure Body Wash- Ok, I know I have told y'all in the past that I am super sensitive to just about everything lol. Just last month I was trying this eucalyptus face calming wipe and it totally broke me out.. INSIDE SEPHORA! Ugh.. Any way, a good GREAT body wash for me has always been very basic. I usually would get like an Ivory or Dove sensitive one. Look, I love Dove, but I also love to smell fruity and all that jazz too. But why buy expensive beauty products just to smell good but end up looking like an ogre?! Well I have found the best smelling ( literally smells like happiness) body wash! 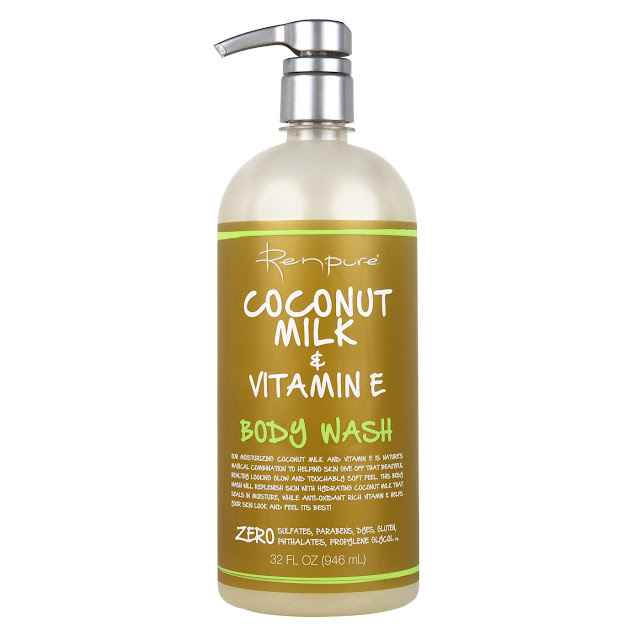 RENPURE BODY WASH! The Coconut Milk & Vitamin E Body wash leaves my skin feeling soft, clean and sweet! Everything you really want in a body wash tbh! I have been using this body wash FAITHFULLY for a few months now and no breakouts, no dryness, no rashes... nothing! So I am super pleased with this one! Plus it is like less than $5 for 24oz! Talk about a super budget beauty buy! 2. PB Premiere Editions Fragrance (La Vie est Belle)- I love a good body spray and luxury knock offs were always a no no for me. For one, they never last. Two, you end up spending almost as much as you would for the real deal! Now, I personally am a Miss Dior Blooming Bouquet kinda girl, but I can not afford to be dousing myself in it every day lol. I'll save what I got for special occasions lol. For a while I was hooked on Glenn Perri Unpredictable Girl, a fragrance I STILL LOVE! But this PB fragrance has taken it's spot for daily dousing lol. This scent actually lasts a while ( not as long as real perfume) and it doesn't smell "cheap". You know what I mean lol. This is definitely a must have at less than $7! 3. 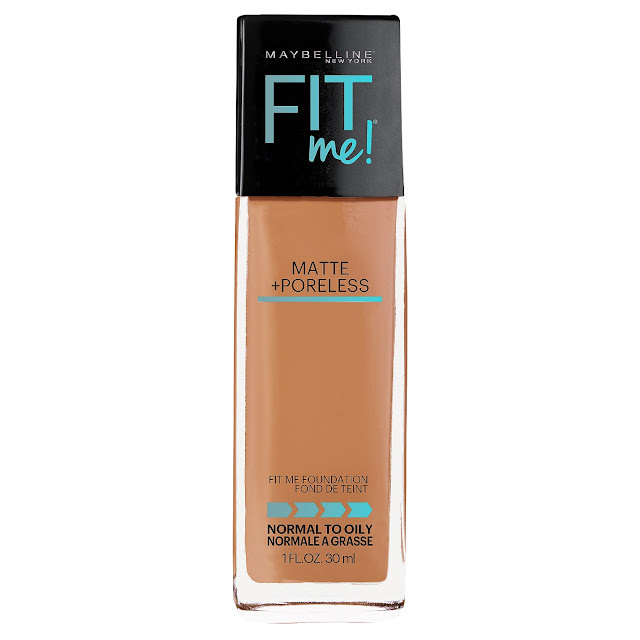 Maybelline Fit Me Foundation- I know I have shared this in the past but it is just that good! A bottle costs around $6 and it gives most expensive foundations a run for their money. I have tried a lot of expensive brands and while there are some that I love and understand why the price tag is so high, I just can't afford it DAILY lol. The Fit Me collection also has such a wide variety of shades that I am able to bounce around between seasons and not feel ghostly! 4. 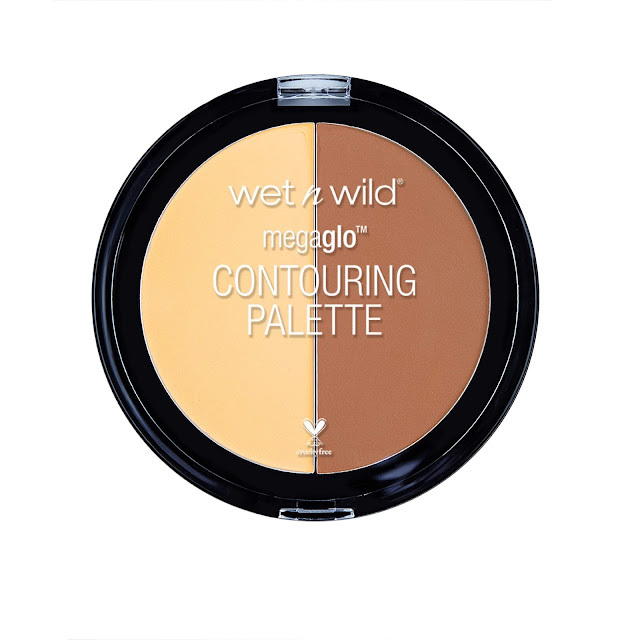 Wet N Wild Contour Palette- This is one of my favorite pallets, not only because it costs less than $5 but it has great highlight and contour tones! I use this pallet every time I do my makeup and it doesn't give my face that cakey look. This pallet comes in two shades and is definitely worth the few bucks you pay for it! 5. Value Face Masks- Walmart has some of the best face masks! They have peel offs, wash offs and even sheets. Plus, they are super cheap, work great and smell amazing! Some of my favorites are the mud masks. They have a wide variety and several brands. I tend to get the ones under $3 and I have never had one I didn't like. Face masks are essential in beauty and self care, so at these prices you can stock up and not break the bank! 6. Hard Candy Look Pro Bare It All Foundation + Concealer Stick- I totally found this product by mistake but I am SO GLAD I did! 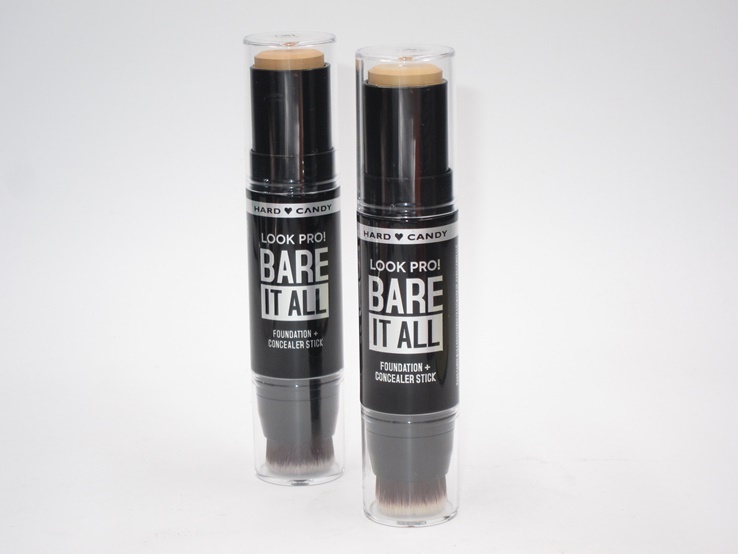 I found this stick in the clearance bin when the original concealer I was looking for was sold out. The stick is huge and it comes with it's own brush which is great, especially when you are on the go. I only use mine for a concealer/highlight because it is the perfect shade for that! My only issue I have with it is that it can be kinda difficult to get right under my eye. But I can just use my finger to spread it to where it needs to go. This foundation + concealer stick was only $3.50 on sale but I believe the normal price is right around $7. 7. 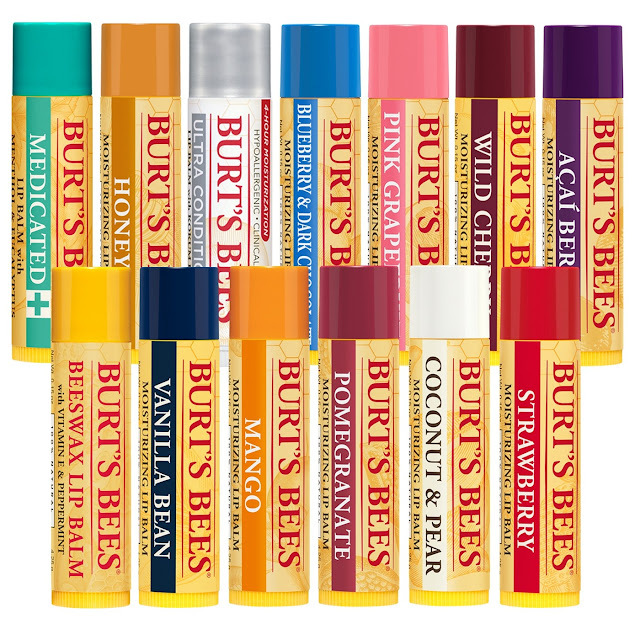 Burt’s Bees - One thing that I always keep on me is lip balm! My lips tend to get dry a lot and the last thing I want is to look like I was drinking sand blah. My ultimate favorite is Burt’s Bees! Not only is it natural, but it lasts long and keeps your lips nourished! Everything we gals need to have the perfect pout! 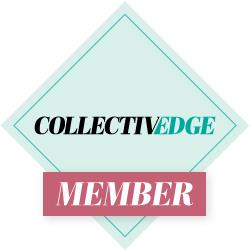 My goal for this list is to keep it ever growing, so make sure you keep up with me on my socials, subscribe to my newsletter or pin this post to keep up! If you have any faves, drop them below and I will be sure to check them out! If they are a hit, I’ll add them! If they are a miss, feel free to let others reading this know!